So if you are like me and have an interest in both information security and the internet of things, trying to keep track of all the different articles flying across the internet can be a bit of a challenge to say the least. There are two tools which I use to greatly help with sifting through all the information and articles available. Feedly – what I started using when Google Reader took the long dirt nap. Like Google Reader, it’s a reader for RSS feeds you subscribe to, e.g. Darknet, The Hacker News, etc. Within your feedly is pretty straightforward in that you search all of your subscribed content for say, “internet of things”. Pocket – it’s straightforward and easy enough in that it let’s you save articles for future reading and also lets you tag the articles for organizing. There’s actually a really cool feature that is part of Pocket Premium; any saved articles are backed up forever for you even if the original article disappears from the internet. So basically Feedly gets us our collection of sources with articles, e.g. Darknet, The Hacker News, etc., then as we browse through the various collections in Feedly, we can save the articles from those collections we really like to Pocket for tagging and later reading. Note: Actually Firefox has Pocket built in and lets you save and tag at the same time. Also you can save to Pocket from Feedly, however you can’t tag at the same time. Both tools allow you to share articles to Twitter, LinkedIn, etc. so occasionally I will share articles out to LinkedIn from Feedly. 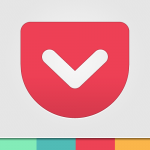 One of the things I’ve been experimenting with is sharing to Twitter via Pocket using IFTTT (If This Then That). IFTTT is used to automate workflows so if I tag an article with “iot” in Pocket, it would automatically tweet about that article. Feedly does have the ability to share your collections to the public (which could be considered curated), however these are your entire collections and not your top picks from those collections. Remember we want the cream of the crop (at least as you see it) from your Feedly collections. Ok, there is one more thing you can do and this is for sharing out your curated list that’s been created in Pocket. And that is to use Sharedli.st to share out a URL that other folks on the internet can use to view your curated reading list. Ok, ok, so one more cool thing you can do with Feedly is put in a search term like “monkeys” and it will look in Google News for various stories regarding monkeys and you can actually turn that into a feed so the latest news from Google on monkeys is always at hand. Surface Pro 3 | Enjoying It!